Earn a commission for booking tours with us! Now travel agents can earn a commission when booking sightseeing tours or airport shuttle services online. By registering with our site and booking your next airport transfer or sightseeing tour online you can start earning your commission from Ebmeyer Charter! In order to receive a commission you will need your agency information when you book with Ebmeyer Charter. Travel agents nationwide can rely on Ebmeyer Charter for dependable, professional service. You can be assured that your clients will have a quality experience with Ebmeyer Charter. Whether you are booking charter services or sightseeing tours, Ebmeyer Charter is the reliable single source for all your ground transportation needs. 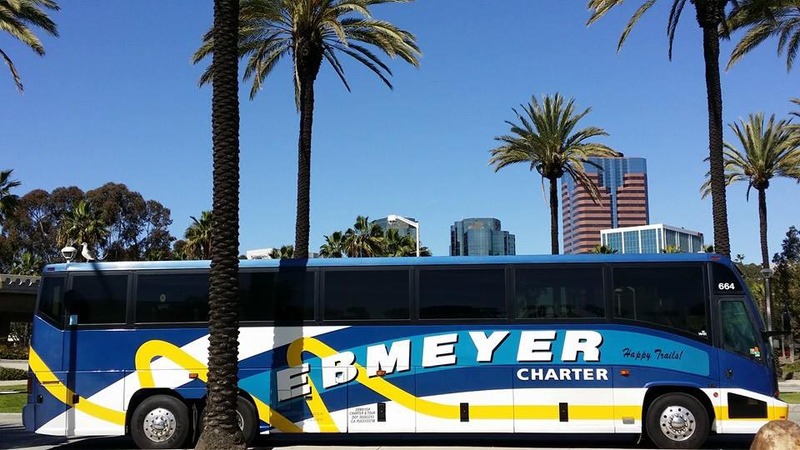 Our modern fleet of motorcoaches can service over 120 locations in the Western United States, so you can expect to get the same quality transportation in every Ebmeyer Charter city. Contact Us Today to find out more.